Whats New from MCS this month ……………. Morning and welcome to Wednesday. After three exams we've got a revision day ahead of us today. Well H has. I was up early measuring and cutting paper prepping for filming in a little while for a new Botanical Tea on line workshop. With summer holidays not too far away we have two new online Album releases for you to make to hold your special holiday pictures and keepsakes. A great way to make one of my projects if you're too far away to come along to one of my workshops here in the UK. 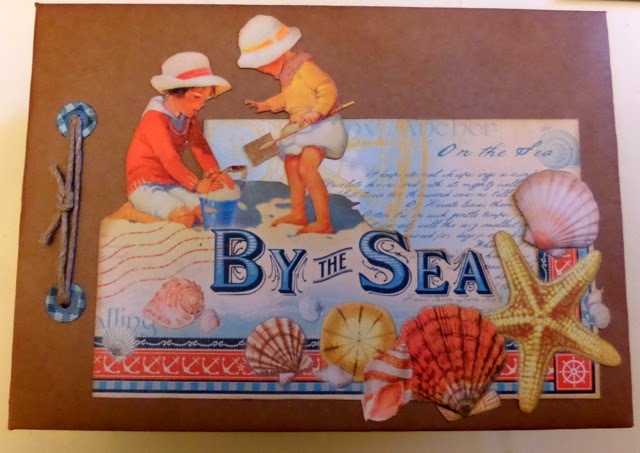 The full sized By the Sea album is made from 12 x 12 papers and the smaller version in a box is made from the 8 x8 pad. Origially designed for a workshop with Isobel at Scotch Lodge Farm I'm teaching this little book in a box album at craft shops here in the UK over the next few weeks. Click for more info on venues etc. If you'd like to see the albums in full just click the video links below. 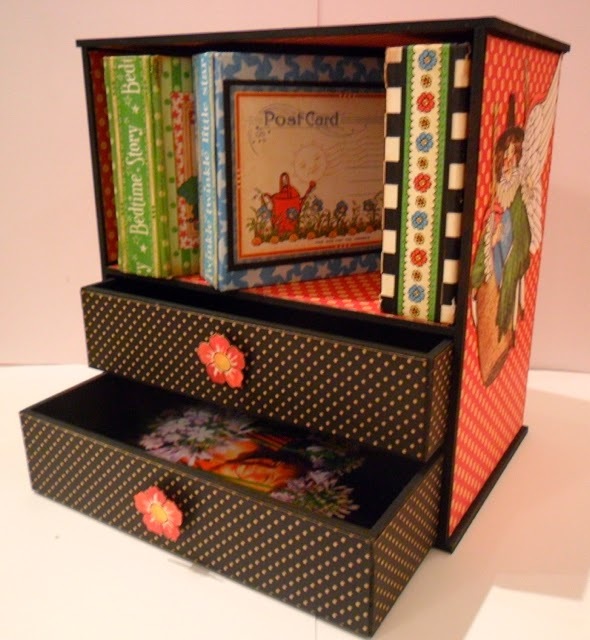 If you fancy making this gorgeous Mini Album and Drawer combo (below) in the Mother Goose paper collection why not come along and join us for a one day workshop at Stoneleigh, Warwickshire on Sunday 1st June. There's just a couple of places left. This cute little cabinet holds five mini albums and the drawers are just the right size to hold lots of 6 x 4 photos too. For more info and bookings just click here. 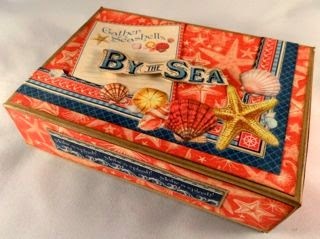 I love these By The Sea albums. I love the little box album as well as the regular type. Lots of work and I just love how you put the papers together and make it so interesting!!! Great as always Clare. Hope Harry is doing well on his exams, I am sure he will be glad when it's all over!!! Can't wait for your next project!! !